grass stains: Birmingham: Free 'Pirates' movie tickets up for grabs! Birmingham: Free 'Pirates' movie tickets up for grabs! Hello, Birminghamians! I know there are at least three of you "locals" out there reading my blog. 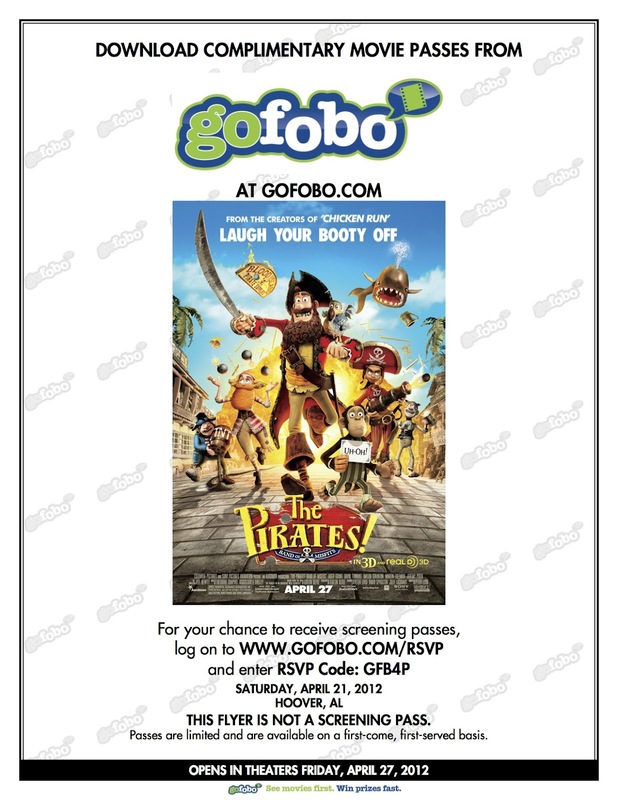 If you're one of them, please hop over to my friend Kim's blog to see how you can claim free passes to see the new animated movie THE PIRATES! BAND OF MISFITS this weekend. It will be debuting at the Rave Patton Creek in Hoover this weekend, ahead of its nationwide release. And moms: Hugh Grant voices the main character. Need I say more?